Serving the faithful of his remote Indian community for over 40 years, with the strength of his spirit and his hands, Brother Enrico Meregalli still starts his day with prayer: something that is still at the center of his work. In India since 1974, Bro. Enrico Meregalli, PIME Missionary Brother and soul of the technical school of Eluru, carves upon wood and also the hearts of his boys; but his day starts on his knees at prayer. “They go to the carpenter and it is he who advises them: “I do not know how to make this carving, go to see “Uncle Beard”. They are referring to Brother Enrico Meregall, a PIME Missionary Brother born in Italy in 1948. Now in Eluru, the city of the Indian State of Andhra Pradesh where he has been living for more than forty years, everyone knows him for his precious hands, for the trade taught to many boys at the technical school of which he has been the soul of for a long time, but especially for the great heart of those who found this treasure hidden in this remote corner of India. There are benches, blackboards, and laboratories where one learns how to weld or create an electrical circuit. However, frankly, the real reign of Bro. Enrico is an “extra-territorial” area: his carpentry shop. It is not officially part of the technical school, but even here, there are always many young people who come to learn a trade from this good giant from Italy. “We make inlay and sculpturing; we work with teak wood and also with nim, which is another very resistant local wood: not even the red ants can eat it,” says Meregalli. “Our shop has become famous because our mortises are deeper than those dug elsewhere. We work for churches and religious communities, but also for individuals who come to ask for quality doors and windows. They know that our work is of quality, that our wood is good. And that they are not cheated.” Work ranges from crucifixes, statues of saints (“sometimes even here in India, I flick through relevant magazines for inspiration“), balustrades, doors, and windows all made with splendid workmanship. 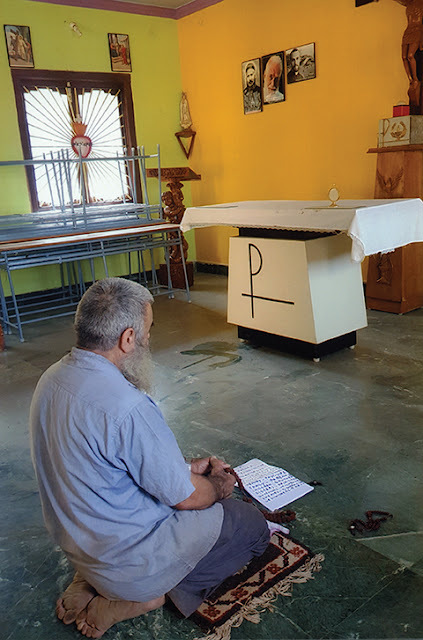 He hasn’t stopped since the first of December 1974, when he arrived in Eluru from Cinisello Balsamo: a parish of Sant’Ambrogio a few miles north of Milan. Why brother Enrico? 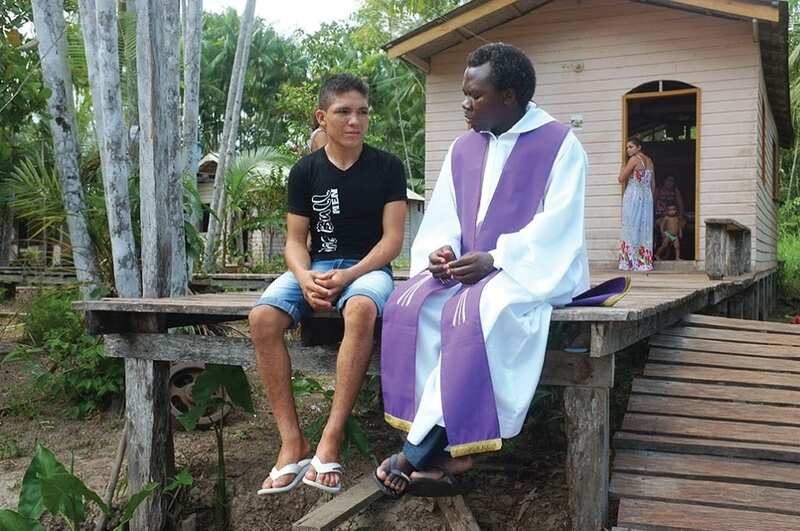 What prompted you to live as a PIME lay missionary? “I was a toolmaker for Pompe Gabbioneta (centrifugal pump maker)” he replies. 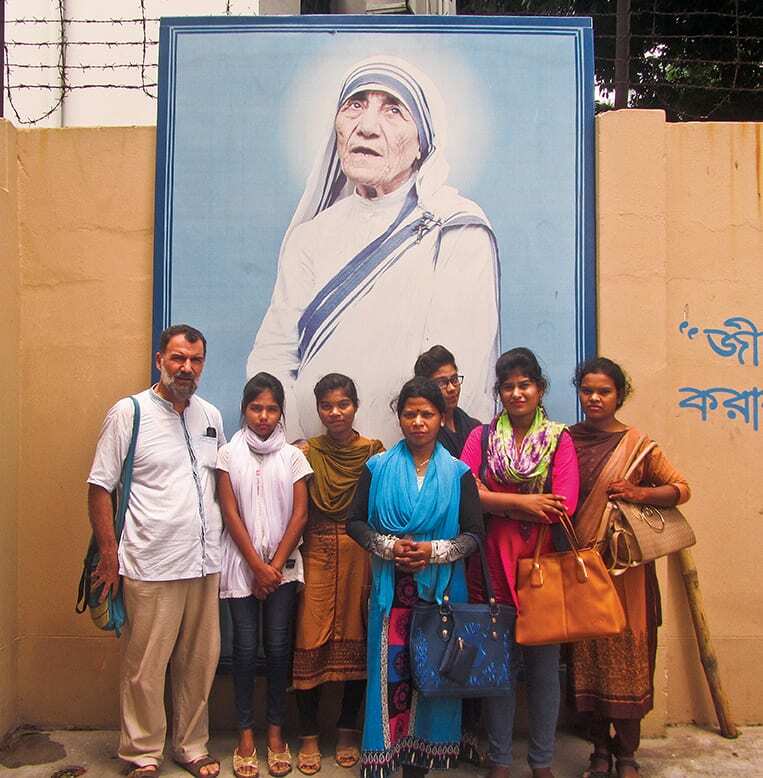 “I was also involved in the local missionary group; but one day I realized it was too little. It happened to me as what the prophet Jeremiah writes about his call: ‘You seduced me.’ I told the Lord: ‘You called me; certainly I did not come on my own.’ I understood that I had to bring my joy of knowing Jesus to everyone.” For more than 40 years he has done so with the simple style of a missionary brother: time spent with the boys and manual labor in the workshop.